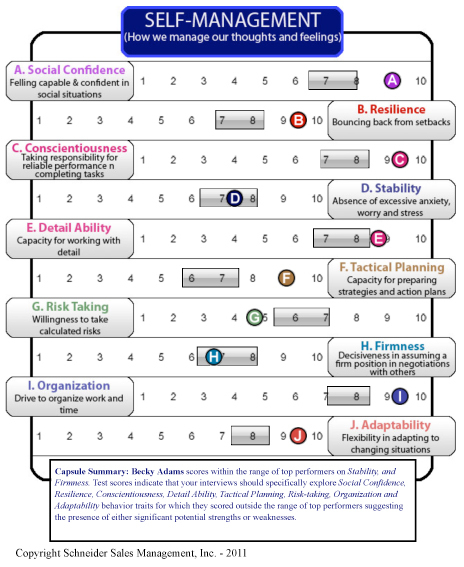 The numerical score in the upper left hand corner of this section and the overall assessment checked in the section below represents the job candidate’s predicted fit with the behavior required for the primary job role. It may also be helpful to determine the job candidate’s “fit” with the requirements of any of the five job roles which encompass virtually every type of sales and service position. 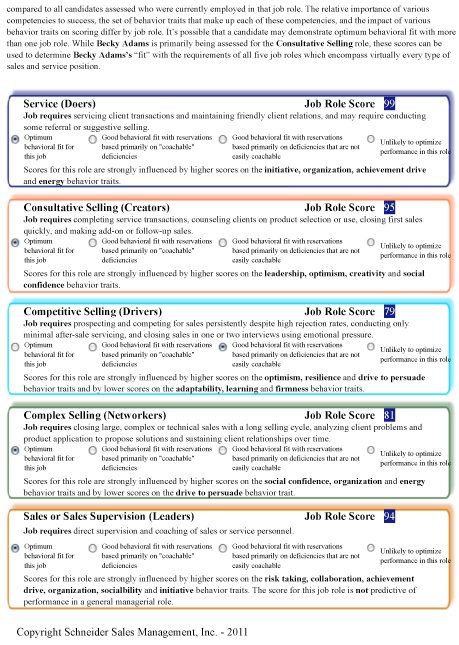 For example, if entry level tellers (primary job role of Service) are evaluated on their potential for promotion to personal banker or MSR (primary job role of Consultative Selling), it may be helpful to also consider their score for the Consultative Selling job role. Similarly, if you are assessing a candidate for a sales position today, it would be nice to know whether that candidate has the behavior competencies to be a supervisor at some point in the future. 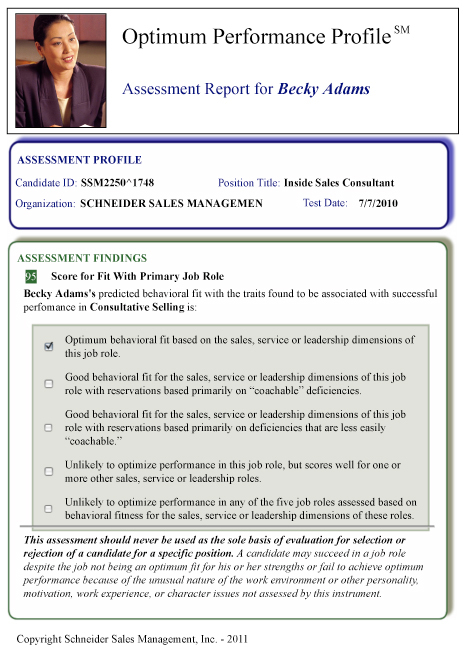 The assessment report also provides details on learning and coaching needs, the job candidate’s dominant behavior style and their score in each of the 34 behavioral competencies assessed.